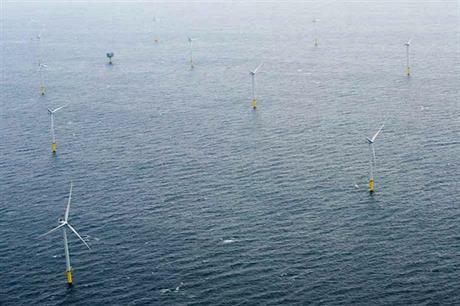 NETHERLANDS: In its energy plan to 2050, the Dutch government is hoping it can apply the lessons from its successful offshore tender process to other forms of renewable energy, while planning to remove subsidies in future auctions. By 2050, the Dutch government is targeting a close to 0% carbon electricity system. To do this, the government has released a plan to invest and deploy low-carbon technology. For wind, the government said it would continue the rollout of offshore projects, at approximately 1GW a year beyond the current plans to 2023. It said it would look an identifying new zones, further from shore. The government has also set out plans that tenders from 2026 will not offer subsidies. "In addition, we will explore how the successful approach of offshore wind can be rolled out to other forms of renewable energy on sea and land," the ministry of economic affairs said in its energy agenda 2016 report. "Thanks to the successful approach in offshore wind, the new tender system already has led to the desired cost reduction of 40%," the report stated. In July, Dong Energy made headlines for the €72.70/MWh bid that won the Dutch Borssele offshore tenders. The Dutch government regulated all the conditions for the projects' construction — the precise location, the consents required, and connection to the grid, which reduced the amount of often duplicated work, research and investments that individual developers usually have to make. The report also calls for greater regional cooperation on renewables, including on support rates, integration and business opportunities, and the potential to work with other North Sea countries. In June, the Netherlands was one of nine countries to sign a declaration to work more closely on planning, grids, financing and coordinating tenders. The government is set to announce the winner of the Borssele III and IV projects on 12 December.